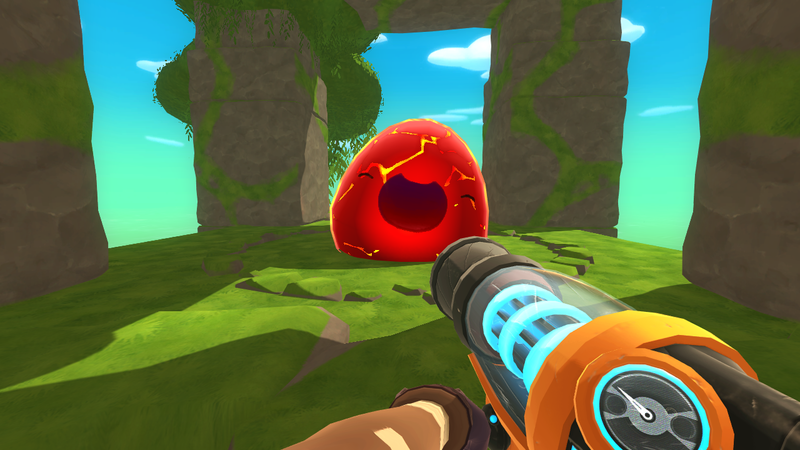 This thread is a sum up of my quest to restore some of the features present in Pre-Alpha versions of Slime Rancher (before 0.2.0). I will also try to explain how to restore some of them on your own. Once it's downloaded, replace your current Slime Rancher folder with this version. The first and arguably the most important restored feature I have to show is the prototype Indigo Quarry. It was hidden during the 0.2.x versions, so that players could not see it. In 0.3.0, parts of it were repurposed into the new Quarry cells. 01 became Entrance, 02 became Donut Hole, 04 became Over Under, and 03 was removed completely. I have more pics of this area, which you can view here. What's interesting about the Prototype Indigo Quarry is that it used to have Mint Mango trees in it, even though no Honey Slimes were present. It's very easy to restore. Open the level0 file with UABE, locate the file ID 548 with the name GameObject zoneQUARRY, extract it, change the 0 bool m_IsActive setting from false to true, reimport it, and you're done! Another quite important restored feature I have to show is a prototype ranch expansion, the Pit. You probably have already saw it as it's shown in the first trailer. It existed in the place of the Overgrowth and in 0.2.0 it was placed to the right of the Grotto and made invisible. This likely made prototype saves no longer accessible in 0.2.0, as you had plots removed. It existed there until 0.4.0, when it was removed completely. Another interesting tidbit regarding this place is that saves with used plots in there are no longer usable in 1.3.0. It's very easy to restore. Open the level0 file with UABE, locate the file ID 13221 with the name GameObject cellRanch_Pit, extract it, change the 0 bool m_IsActive setting from false to true, reimport it, and you're done! I have also connected the Pit to the Overgrowth in my modded world, though that's a bit too complex to be covered here. 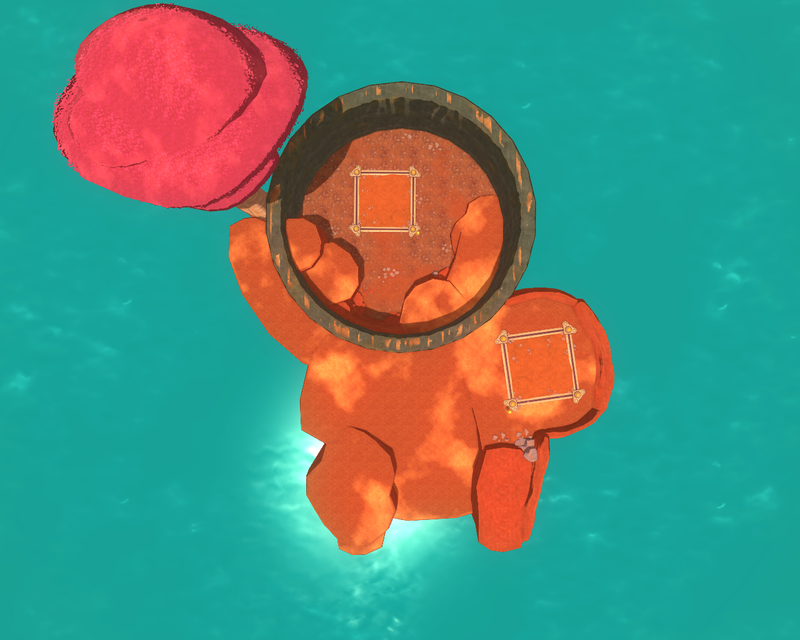 Sand Trap, the prototype cell that used to be in the current beach's position, and the cell some mistaked for the Glass Desert, used to have Slimes and resources in it. It also had a currently unused prop in it, asteroids. The Slimes and resources don't differ a whole lot from the regular Dry Reef, except for one thing - an Oca Oca patch, present here for unknown reasons. It's easy to restore. Open the level0 file with UABE, locate the file ID 10458 with the name GameObject Resources, extract it, change the 0 bool m_IsActive setting from false to true, reimport it, then locate the file ID 674 with the name GameObject Slimes, do the same thing, and you're done! 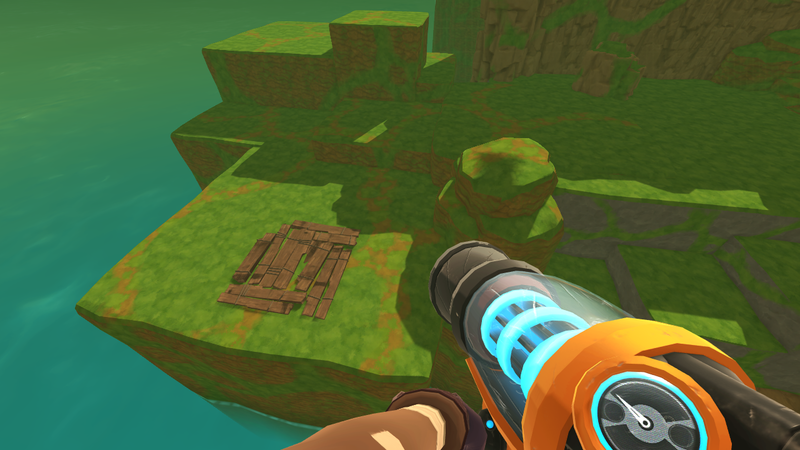 The prototype ruins, as some of you might have already known from Wonda's thread about it, used to have a Boom Gordo, and other resources around! It survived roughly until 0.6.0 was released. Unlike the current Boom Gordo, it did not explode upon popping. As for the ruins themselves, I find it interesting that they had Briar Hen nodes even in 0.2.0, when there was a glitch preventing them from spawning in other areas. It's easy to restore. Open the level0 file with UABE, locate the file ID 6511 with the name GameObject Resources, extract it, change the 0 bool m_IsActive setting from false to true, reimport it, then locate the file ID 10918 with the name GameObject Slimes, do the same thing, and you're done! This is arguably the least interesting cell out of the bunch. It used to be the cell that connects the Dry Reef with the Moss Blanket. The only interesting thing about it is that Gordos might have been first tested on it, as there's a missing prefab present here. It's very easy to restore. Open the level0 file with UABE, locate the file ID 14519 with the name GameObject cellMoss_WIP, extract it, change the 0 bool m_IsActive setting from false to true, reimport it, and you're done! These weird doors were once supposed to be used to close off Ranch Expansions. To activate them, you will need to pay 4000 Newbucks. Once that's done, you'll be allowed to open or close them. They're the only objects that kept the old ranch tech design in versions after 0.2.0. Around 0.3.0, they were removed. It's easy to restore. Open the level0 file with UABE, find one of the two objects with the name GameObject doorOpenCapsule01, extract it, change the 0 bool m_IsActive setting from false to true, reimport it, and you're done! Weather used to be present in Slime Rancher but since 0.2.0 it was disabled. It still exists in the game, even to this day! It was very basic as it only included rain, and it was purely cosmetic. It didn't even affect ponds like the slimepedia entry claimed it did. To restore it, open Assembly_CSharp.dll with dnSpy or some other .NET assembly editor, locate the class AmbianceDirector, and remove the highlighted part from the code. Modifiers are- err, I can't actually mention what they do since they're going to be reused in Viktor's update. All you need to know is that I did manage to enable them, and that they were present in the game ever since the prototype versions, but got disabled since 0.2.0. And yes, vampiric chickens are there. Although I didn't restore this feature, I thought it would be interesting to talk about. When it's enabled, Slimes can't be vacced and instead will bounce off the vac. The feature was removed in 0.2.1 for unknown reasons. I won't cover how to do this one as it's a bit complex. This feature used not to be unique to Hunter Largos. All Largos were able to turn feral if sufficiently agitated. It was removed in 0.2.0. To restore this feature, you'd have to change some code in the SlimeFeral class. During restoring this feature, I managed to make it work on regular Slimes too, which made hilarious results, such as a feral Gold Slime. Hectic mode was triggered when there were more than 20 slimes nearby. When it was enabled, the theme that plays when Rush Mode is about to end played. Slime Rancher also used to have music played at 6:00 and 18:00. The 18:00 theme got removed from the game completely later on, as it's not even present in the official soundtrack. You can listen to it here. This was the splash screen displayed for testers playing Prototype 3. 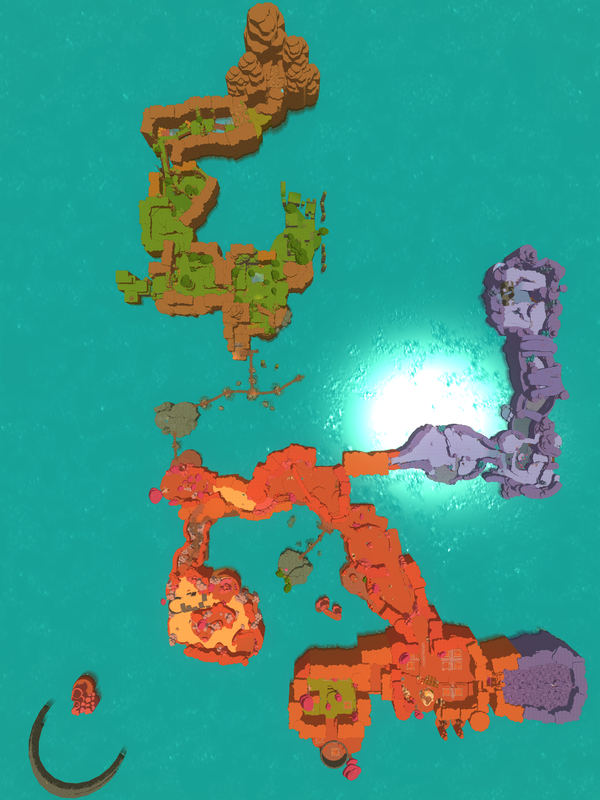 Here's how my modified world looks like compared to what most other players had at that time. Mine's below, while the unmodified version is above. That's about all as for the features I was able to restore. There are still more features present in the earlier versions, but I am unable to restore those. For example there's Tree Pocket and Pass. Those were cells in the Dry Reef which existed around the Quarry Entrance area. Since they were purged aside from the cell data remaining, it's not possible to restore them. There are also Slimenadoes (which were probably repurposed as Dervish Slime tornadoes) and much of the prototype world that existed before the zones we have today. So, if the devs are reading this, please consider showing us more stuff from the prototypes or even sharing those early builds if possible. I wish we still had the doors for the expansion. Tbh we do have them but they not in use, I hope they make them functional. Heh... I knew this would come eventually. How do you get the dnSpy thingy to delete the code that disables weather? Use the Edit Method function. 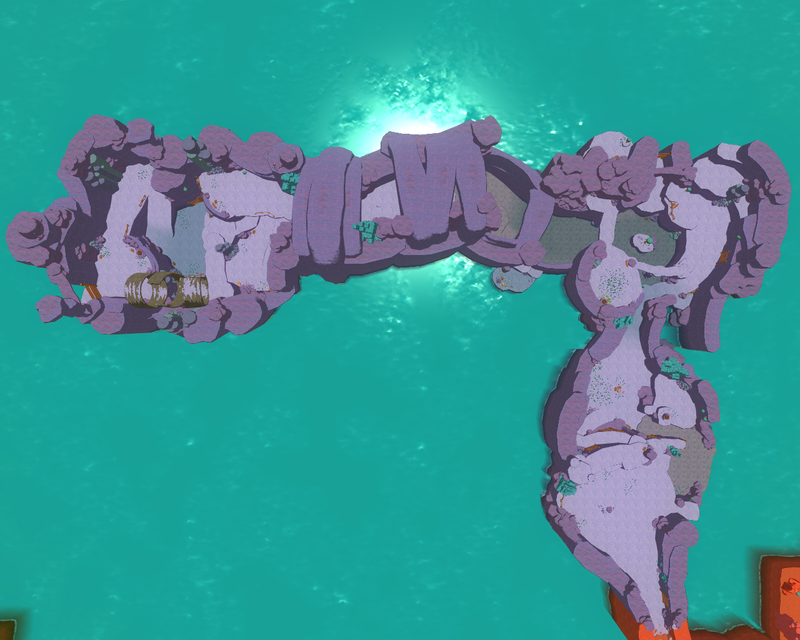 Also, the Indigo Quarry is not connected to the Dry Reef, and there is a barrier in the entrance the the cave that leads to the Indigo quarry. Moss WIP is near where the Honey Gordo is located today. It partially clips into the area too, so it's not easy to find. 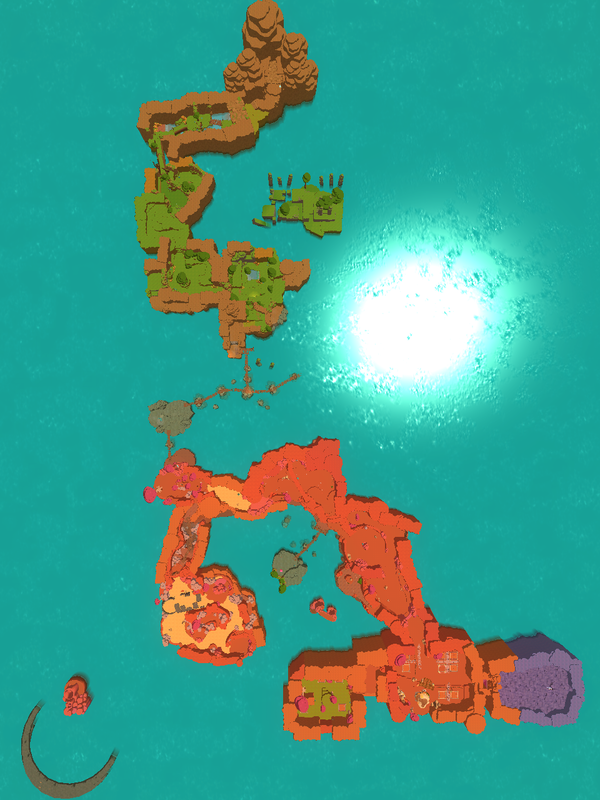 The prototype Indigo Quarry used to be connected to the Dry Reef, as you can see in this pic, but the Dry Reef cells that connected to it no longer exist. 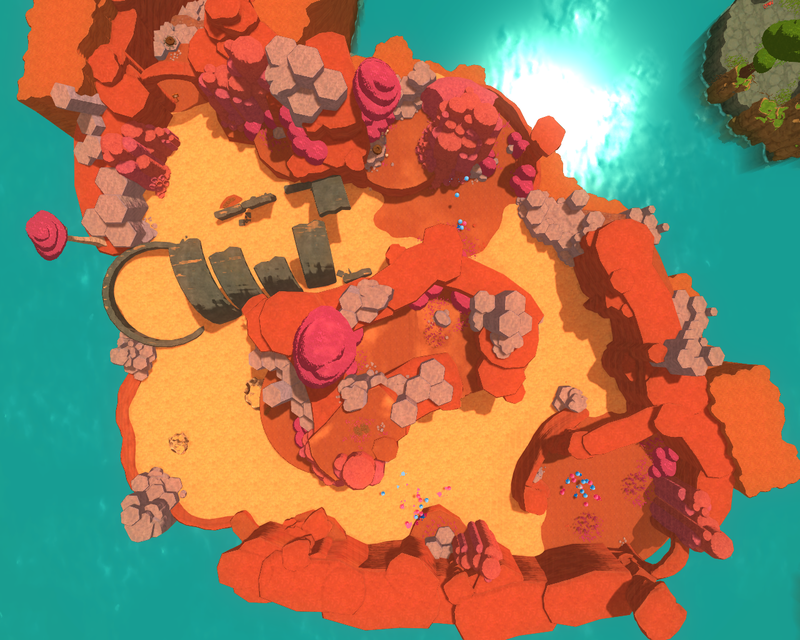 That cave in 0.2.3b that was supposed to lead to the Indigo Quarry is more similar to the version seen today. How did you edit the map so stuff is connected? It was much more complex than just setting something from false to true. I had to add new objects and remove existing ones, and I had to move and rotate the existing cells. I'm going to necro this post, but I think it's worth it. This is amazing stuff. I would like to edit my necro post above, but can't for some reason. 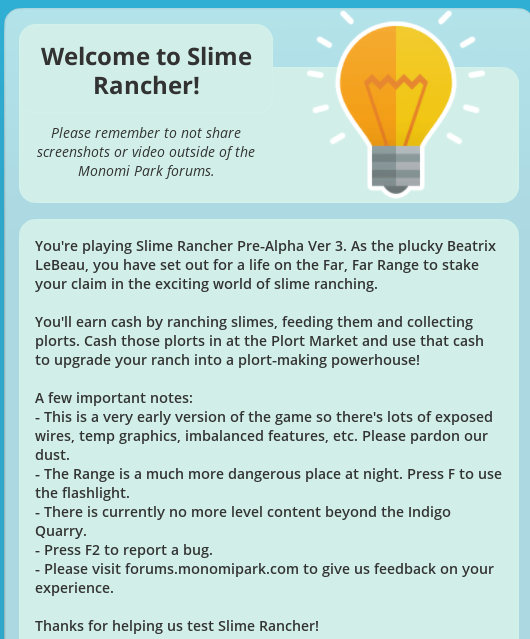 I'll add by saying that bringing this post back up shows some ways to do modding for Slime Rancher. This is a needle in a hay stack for some of us.